On Life & Meaning explores devotions. We ask guests about their talents, projects, motivations and higher purposes. Guests include artists, writers, philosophers, civic leaders, consultants, executives, entrepreneurs, innovators and creators. We see this podcast as an art installation: a gallery of portraits of citizens making a difference in the world. Debbie Warren leads an HIV/AIDS organization. In this episode we explore pastoral care, what gives her hope, the maturing of faith, and finding identity in service and love. Freda Lester is a retired police officer. In this episode we explore wearing the badge, police response to civic protest, drawing a gun, what makes for a good cop, and a life dedicated to public safety. Stephen Valder is a retired pediatrician. In this episode we explore leaving the practice of medicine, contributing to community, affordable housing, a legacy of justice, and living into values. Cyndee Patterson leads a civic engagement foundation. In this episode we explore dialog, listening, leadership development, city politics, converting to Reform Judaism, and serving the past, present and future. Alvin C. Jacobs, Jr. is a photojournalist. In this episode we explore documenting social movements, the Brookhill neighborhood of Charlotte, growing up in Rockford, Illinois, street credibility, and producing work for the halls of justice. Don Jonas leads a community health center. In this episode we explore community health, Medicaid transformation, social determinants, choices in his life, the passing of time, and being the lead singer of a band. Deborah Triplett is an image taker and a garden maker. In this episode we explore photography, what is beautiful, the Japanese philosophy of wabi-sabi, yard art, confronting cancer, and love of family and friends. Dan Murrey leads a specialty care physician practice group. In this episode we explore reforming the health care system, where God resides, orthopedic surgery, confronting injustice, local politics, and taking on difficult tasks. Matt Cosper is a a theater maker. In this episode we explore absurdist influences, the fractal nature of existence, Zen koans, magical realism, fallen angels and accessing the sublime. Stephanie Ansaldo leads an education foundation. In this episode we explore humanitarian interest, Elie Wiesel, technology and ethics, an improbable marriage, and what one person can do to change the world. Don Taylor is a professor of sociology. In this episode we explore his interest in teaching, writing and playing the saxophone, his career in human services, and the power and importance of intention. Marjorie Benbow is an intellectual property attorney. In this episode we explore flower farming, home renovation, a career in science, education and the law, and lessons learned about love, grief and gratitude. Paula Broadwell leads a media foundation. In this episode we explore virtual reality immersion, her career in military intelligence, service to greater causes, and living life to the fullest. Catherine Horne leads a science museum. In this episode we explore science education, whether a science center can ever be ahead of the innovation curve, and the importance of bringing museums to as many people as possible. Fatma Mili is a dean of a college of computing and informatics. In this episode we explore computer science education, whether artificial intelligence is giving rise to tyranny, the data industrial complex, and the values we need to shape the future. Hardin Minor is a performance artist and entertainer. In this episode we explore the physical nature of wisdom, the incarnation of the divine, the spirit of the clown, and widening cosmic circles. Michael DeVaul is chief social responsibility officer for a youth charity organization. In this episode we explore helping black and brown boys, connecting dots, code-switching, baseball and branding, and a personal story of love and humanity. Quentin Talley is a multidisciplinary artist. In this episode we explore being unapologetically human, expressing the black experience, love supreme, and when he is most free. Yossi Groner is a rabbi of an Orthodox Jewish congregation. In this episode we explore Chabad Judaism, the coming of the Messiah, ethics and mysticism, and what God wants for us. Kathy Izard is an author and community volunteer. In this episode we explore the legacy of family, housing the homeless, faith in things greater than ourselves, and following an insistent whisper. Richard Pinder is a retired professor of history. In this episode we explore partisan news, finding your way, faith in an evidence-based world, civil rights, and the rewards of teaching. Josh Jacobson is managing director of a consultancy to non-profit organizations. In this episode we explore helping organizations realize their vision and mission, discerning a life journey, and what craft beer and community have in common. Lynne Conner is a professor of theater arts, cultural policy theorist and playwright. In this episode we explore social interpretation of the arts, how audience behavior has changed, and what we mean by meaning anyway. John Boyer leads a modern art museum. In this episode we explore modern art, abstraction, the connection between fine art and finance, and making our lives better through engagement with the arts. Amy Aussieker leads a smart city initiative. In this episode we explore smart city innovation, circular economies, idea generation, reincarnation and evolving as a soul. Kathryn Hill leads a history museum. In this episode we explore using history to build community, a social agenda, questions of transformation, and the core work of a career. Lila Allen is managing editor of a design and architecture magazine. In this episode we explore design at all scales, the world's best design cities, pop culture, children's bedrooms, and living and working in New York City. Kali Ferguson is a story teller and cultural educator. In this episode we explore a fractured fairy tale, the wisdom of joy, growing up in a prominent family, and a story of psychiatric illness and health. Laura Neff is an organizational transformation and leadership development coach. In this episode we explore what makes a good coach, her deepest story, speaking people into themselves, and the journey we are all on. Shannon Binns leads a smart growth advocacy organization. In this episode we explore long-term thinking, becoming a low-carbon city, living abroad, environmental sustainability, humanitarian work and service. Michael Graff is a freelance writer and editor. In this episode we explore the big question that informs his writing, storytelling, back roads, and what he hopes is said about his life. Emily Giffin is a novelist. In this episode we explore what her novels are about, commercial pressures and success, higher stakes, what she wants most, and where she expresses her most authentic self. Michael Smith leads a center city place-making organization. In this episode we explore downtown development, the elements of a vibrant city, commerce, Jesuit thinking, and a mission-based life. Hope Muir is artistic director of a ballet company. In this episode we explore her first year in the role, what she looks for in dancers, social realities on stage, bespoke repertoire, and the ideas that inform her work. Daniel Levine leads a property investment company. In this episode we explore acquiring land, master planning, family wisdom, and creating a neighborhood in the center of a city. Tana Greene leads three national staffing companies. In this episode we explore what her companies do, the problem she is solving, transitioning from success to significance, and the values that guide her. Mike McGuire leads a national accounting firm. In this episode we explore brand positioning, creating culture, disruptive technologies, serendipity, and scaling family values. Piko Ewoodzie is an ethnographer and professor of sociology. In this episode we explore what we can learn from hip hop artists, qualitative research, ‘getting out,’ and Wakanda Forever. Amanda Pagliarini Howard is co-founder of a society membership program. In this episode we explore personal trauma, forgiveness, writing as an act of self-discovery, and the authentic voice within. Nick Napoletano is a painter, muralist and designer. In this episode we explore Mannerism and the High Renaissance, public art, augmented and virtual reality, biophilic design, and moving through the world differently. Marek Ranis is an interdisciplinary artist and professor of sculpture. In this episode we explore ‘world grief,’ arctic whiteness, ecological disruption, political upheaval, lack of permanence, and the role of the artist. Spencer Merriweather is district attorney of a major metropolitan county. In this episode we explore criminal justice reform, the emotional burdens of prosecuting crimes, serving as the voice of victims, and finding solace in faith. Amy Herman is a visual artist. In this episode we explore photography, matters of identity and memory, staged moments of intimacy, and creating community. Patrice Funderburg is a human resources consultant. In this episode we explore transitioning from corporate work to social activism, issues of incarceration, race consciousness, and self-care and liberation. Dianne English leads a community building initiative. In this episode we explore racial inclusion and equity, social activism, family legacy, friendship, and what she knows for certain. Toussaint Romain is a former assistant public defender. In this episode we explore running to become District Attorney, protest, keeping the peace, bridging difference, equity and justice, and leading community change. Michael Marsicano leads a community foundation. In this episode we explore economic disparities, task forces, the complexity of grant-making, and a career devoted to the arts, philanthropy, education and citizenship. Jack Ossa is an architect and graphic artist. In this episode we explore the power that directs him, mapping his mind, playing music, a story of immigration, and dreams of design. Dave Newell is a director of a collegiate leadership development center. In this episode we explore preparing students for leadership, how to be a better leader, being present in the moment and fulfilling the desire to serve. Candice Langston is a communications consultant who helps organizations make a positive impact in their communities. In this episode we explore media and messaging, getting proximate, TED talks, Hello Kitty and the music of Duran Duran. Russ Greenfield directs integrative medicine for a regional healthcare system. In this episode we explore health care reform, wellness, helping people bounce, emergency medicine, and the work of leading systemic change. Fabi Preslar is an entrepreneur who helps clients share their stories. In this episode we explore custom publishing, leaps of faith, a shared near-death experience, and business as a creative and spiritual act. 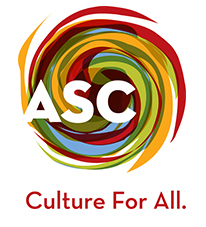 Robert Bush leads an arts and culture council. In this episode we explore the power of art, a perfect childhood, access and inclusion, the city as a classroom, and his greatest accomplishment. 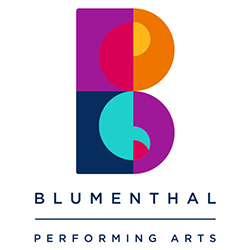 Philip Blumenthal leads a family foundation. In this episode we explore family history, ‘tsedaqah,’ grant-making, naming rights, being a middle child, and caring for our planet and community. Tiffany Capers is an advocate for equity and possibility. In this episode we explore Black Lives Matter, being sufficiently woke, painting, being a new mother, and the work and promise of social justice. Angela Gala is a meditation teacher and event planner. In this episode we explore meditating, the connection between meditation and creativity, what makes for a good event, and a purpose-driven life. Tom Gabbard leads a performing arts organization. In this episode we explore what a producer actually does, perfectionist tendencies, a pivotal moment, and presenting shows that transform people and place. Dianne Chipps Bailey is an attorney who serves non-profit clients. In this episode we explore the non-profit sector, the grounding of faith, the illusion of perfection, privilege, and the guidance of gratitude. Manoj Kesavan is a cultural catalyst and creative instigator. In this episode we explore curatorial judgment, the art of social practice, the leap of faith of creative initiatives, taking a stance, and doing what one must. Lee Keesler leads a multi-branch urban library system. In this episode we explore leading transformation across an enterprise, family history, chapters of life, and the call of community stewardship. Phillip Larrimore is a visual artist who explores that which is and is between. In this episode we explore the divine, aluminum perforated boxes, appearance, reappearance, melancholia, and converting sorrow to beauty. Suzanne Fetscher is a former executive of a visual arts and artist-in-residency center. In this episode we explore her career in arts administration, community engagement as art, and arriving full circle in life. Carol Hardison leads a crisis assistance agency. In this episode we explore assisting those in financial distress, saviors and victims, music and laughter, and the values that sustain the work of social justice. Charles Thomas is a program director for a national foundation. In this episode we explore stepping into service to create a more beautiful and connected world, childhood influences, and a sense of destiny. Amy Chiou is a political process and social venture evangelist. In this episode we explore civic engagement, entrepreneurial venturing, identity politics, tough conversations, and the campaign the world needs right now. Deborah Bosley is a plain language expert. In this episode we explore technical writing, informing with empathy, Grace Slick and Janice Joplin, and repairing the world one sentence at a time. Renee Stout is a visual artist who explores the mystical and rhythmic planes of existence. In this episode we explore moments of possession, Madame Ching, black art, and conjuring elemental forces. Mike Watson is an artist and educator. In this episode we explore heart-centric leadership, what fashion teaches us, fashioning an identity, making belief, and what his culminating work of art would be. Kelly Chopus leads a family foundation. In this episode we explore philanthropy, mission-based consciousness, lessons learned, and a life of taking risk for the public good. Karen Geiger is a leadership and organizational development consultant. In this episode we explore workplace issues, what good leaders do, parenting, sacred contracts, and how we invite into our lives exactly what we must learn. Matt Olin is a copywriter and creative consultant. In this episode we explore creativity, accomplishment and recognition, overcoming uncertainty and despair, and the essential qualities of his marriage. Charlie Elberson is a brand strategist. In this episode we explore the anthropology of insight, the dance of client engagement, the essence of a brand, and playing music in a band. Michael Goldfarb is a journalist and broadcaster. In this episode we explore his work as former London bureau chief of NPR, covering conflict, being a child of victory, and the state of American politics and citizenship. Katie Oates is a singer and songwriter. In this episode we explore song, butterfly nets, the importance of story, finding our voice later in life, personal connection, and the music of our better selves. Henry Rock II leads an organization that educates entrepreneurs. In this episode we explore inspiring adults to live powerful lives, differences between black and white nationalism, and hope for the future. John W. Love, Jr. is an interdisciplinary literary and performance artist. In this episode we explore the beautifully absurd, meditation, yumminess, and the life-affirming funkiness of a love warrior mystical being. David Wagner is an architect. In this episode we explore grace and art, memory, Pittsburgh, the Green, ideal forms, Italian influences, and a life well led. Becky Winkler is a corporate psychologist. In this episode we explore developing executive talent, learning agility, living up in the air, and the art and science of reading people. Bruce Fritch is a business advisor. In this episode we explore the state of leadership, accessing the human brilliance of people and organizations, photography, and how happiness goes to the adult. Valaida Fullwood is a writer and project strategist. In this episode we explore bearing the burden of an untold story, salvation by imagination, re-framing philanthropy, and an idea that changes community. Jeff Jackson is a novelist. In this episode we explore the death of literature, beautiful stories about disturbing characters, writing as incantation, coming-of-age narratives, and hypnagogic time. Carlos Salum is a leadership performance strategist. In this episode we explore a global and missionary mind, privileges and legacy, sports psychology, corporate athletes, and what true leaders do. Peter Reinhart is a baker of bread and a master of metaphor. In this episode we explore confluences of life, ‘mise en place’, being interesting, taking vows, theosis, and being a seeker of truth.